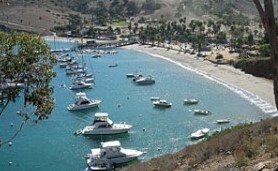 Planning a boating trip to Catalina this summer? Summer is always a fun time to visit Catalina Island. Especially when traveling on your own boat. And once you get there, there are all sorts of things to do on the island. Even though you can see the island from the mainland, and it looks so close, it takes a while to get there. And to make sure you get there, there are a few things to take into consideration before heading out. Number one is the weather. Number two is being ready for any and all emergencies. NOAA Marine Weather Forecast– Pay close attention to the swell forecast for the area. The swell can be pretty rough in the afternoon. If you go over in the morning, you may want to wait and return the following morning. Make sure your boat is ready for the trip. For example, maintenance is up-to-date, batteries have been checked and replaced if needed. Pack a waterproof, hand-held VHF radio as a backup. Wear your life vest. And make sure you have enough life vests for everyone on board. The weather can change suddenly and you may not have time to dig them out. Enter the information in your GPS. The Avalon marina is located at, latitude 33.20.83 N, longitude 118.19.42 W.
At Newmarks Yacht Centre in the Los Angeles Harbor, we wish everyone a fun, safe trip to and from Catalina Island. 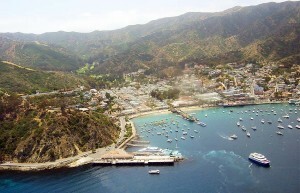 And by the way, amenities at Newmarks include access to a mooring at Two Harbors on Catalina Island. 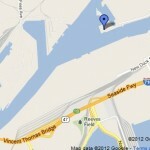 See what else we have to offer, Marina Services and Amenities.